yndi halda’s Under Summer album is streaming now ahead of the Friday, 04 March release date at FACT. Buy the 2xLP and cd from the online store or your favorite local record shop. We also have packages to get an ultrasoft tri-blend t-shirt with a special Under Summer graphic:2xLP/shirt and cd/shirt. We’ll be away for a week, so mail order shipments will go out today at noon and any orders after that will ship on Tuesday 08 March. 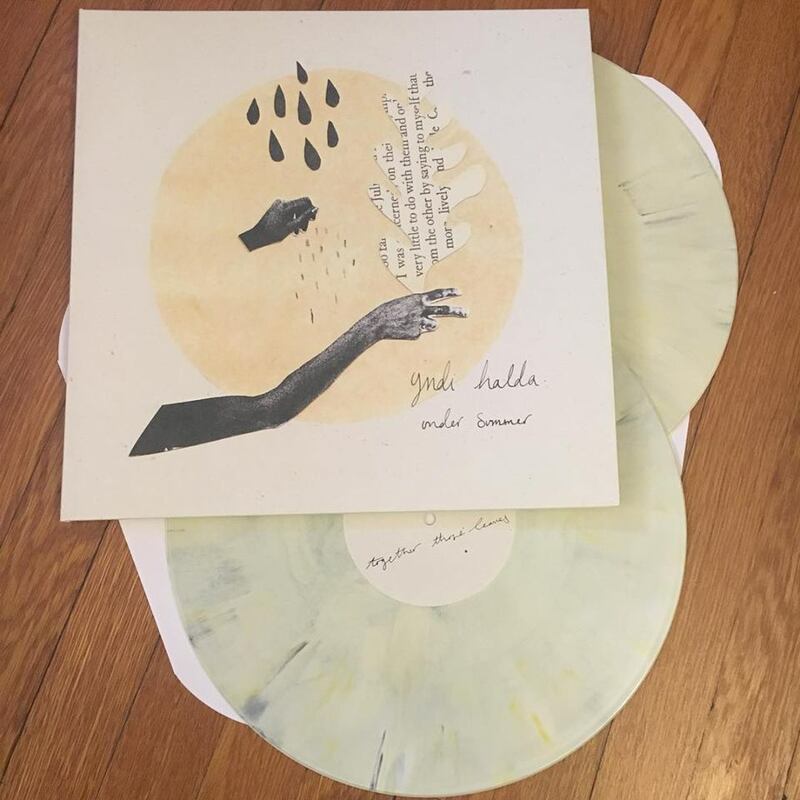 yndi halda : Under Summer 2xLP on cookies and cream vinyl. Pre-orders are being packed up to ship to arrive in time for the March 4th release date. Buy the 2xLP and cd from the online store or your favorite local record shop. We also have packages to get an ultrasoft tri-blend t-shirt with a special Under Summer graphic: 2xLP/shirt and cd/shirt.